DIY Painted Wood Hangers + Lots of Closet Organization Tips! 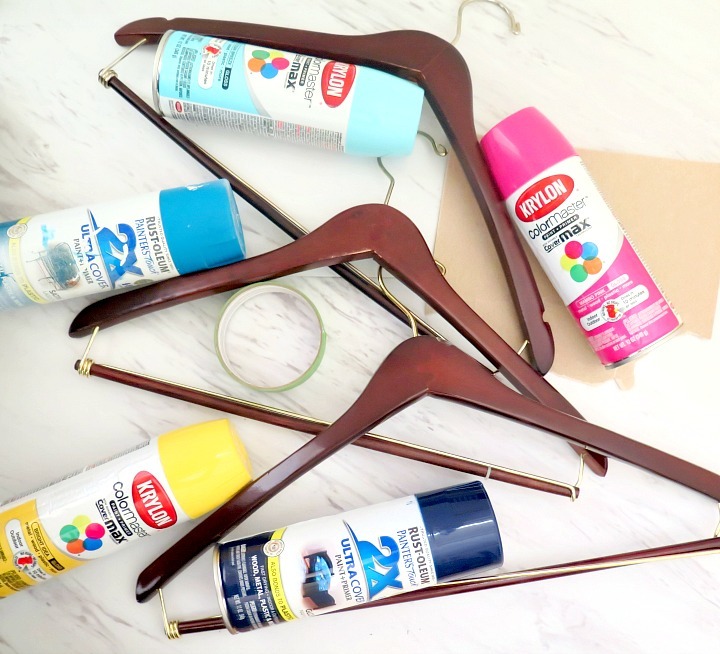 These painted wooden hangers not only add a punch of color to your closet, you’ll be organized in no time! I know what you’re thinking (probably because my husband is thinking the same thing right now). 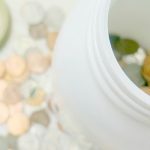 Have you run out of things to DIY? 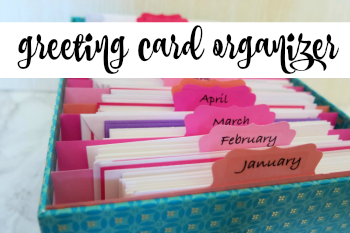 Don’t you have anything else to organize? 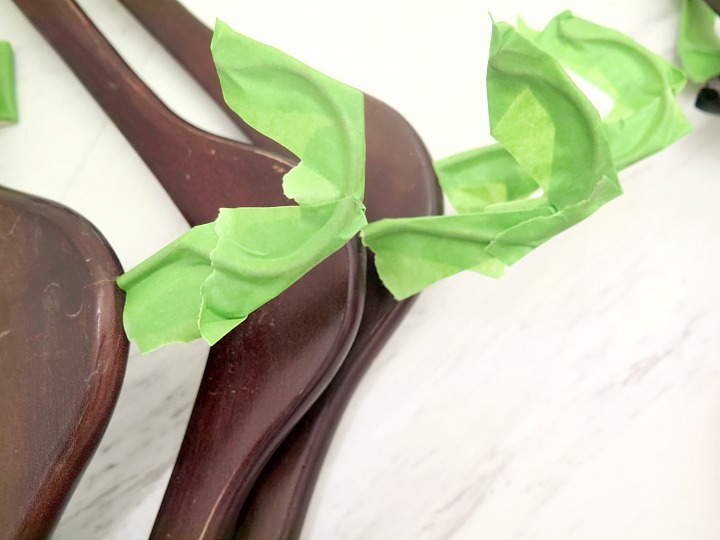 You’re seriously painting your hangers? Well …. No, Yes, and Yes. 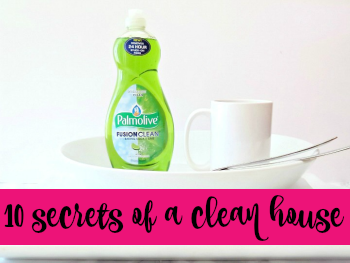 First step is to lightly wash the hangers with soap and water. Anytime I spray paint an item I always wash it down ahead of time. This helps ensure that the spray paint is adhering to the actual item instead of dirt or grime that might be on it. Let the hangers dry completely. Next, I lightly took some sand paper to the wood. Just a quick sanding helps the spray paint adhere to the wood quicker. I chose not to spray paint the hooks, just the wood, so I covered those with painters’ tape. Since I’m quite the lover of spray painting, I invested in a spray painting tent. While it’s not necessary, it does make spray painting MUCH easier. If you do a lot of DIY projects, I think it’s a worthy purchase It folds up pretty small, but once open, is spacious enough for the majority of my projects. I’ve pulled it out for painting projects too (not just spray paint). This picture is up on my roof deck where I set up the tent. You’ll notice the baby gate – that’s the next spray paint project on my list 🙂 . I lightly sprayed one coat of paint on each of the hangers and let dry before spraying a second coat. I’m not brand loyal on everything, but for spray paint I ONLY use Rust-Oleum. Not super pricey, but typically isn’t the cheapest option at the store. Yet, I find that it requires fewer coats than the cheaper ones. So in the end it probably is the cheaper option. Hangers are somewhat awkward items to spray paint so I used a couple painting pyramids to hold them up. It wasn’t exactly perfect, but did the job reasonably well. Each hanger required 2 coats of paint on each side. I waited about 1 hour between coats although you could likely paint the second coat much sooner. Once dry, your hangers are ready to be hung! 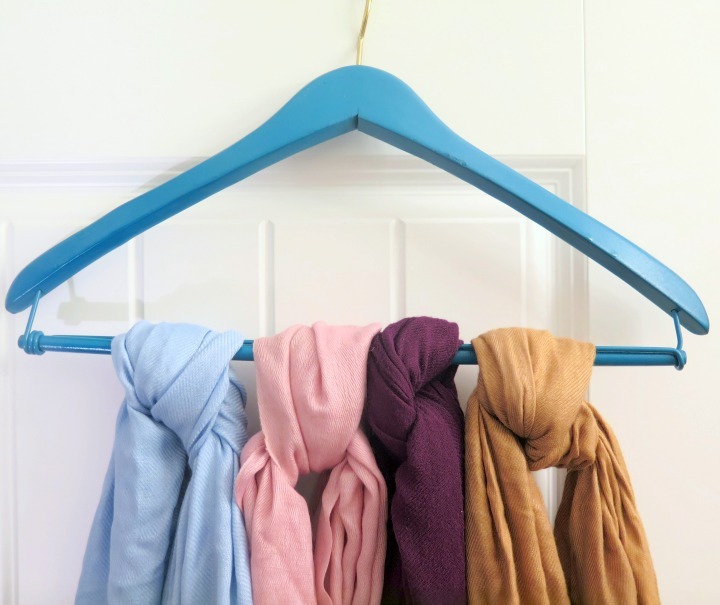 Keep scarves or tights straight by tying them to a hanger. Organize your clothes by category first (dresses, long sleeve shirts, short sleeve shirts, pants, jeans) and then by color to get the best picture of what you own. Adding a second clothing rod in the closet can instantly double the capacity. Hang one rod higher and further back in the closet. Add the second lower and towards the front. This is a great option for small spaces and kids’ closets (since their clothes are short and slender). 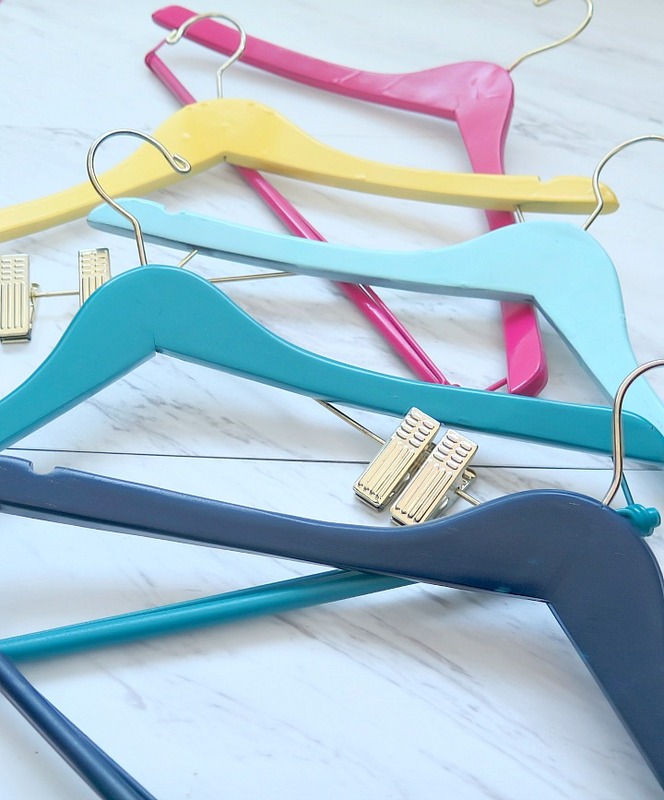 Try using a different color hanger for each season so you can easily shift your wardrobe in and out each season (Green for summer, yellow for fall, blue for winter, etc). 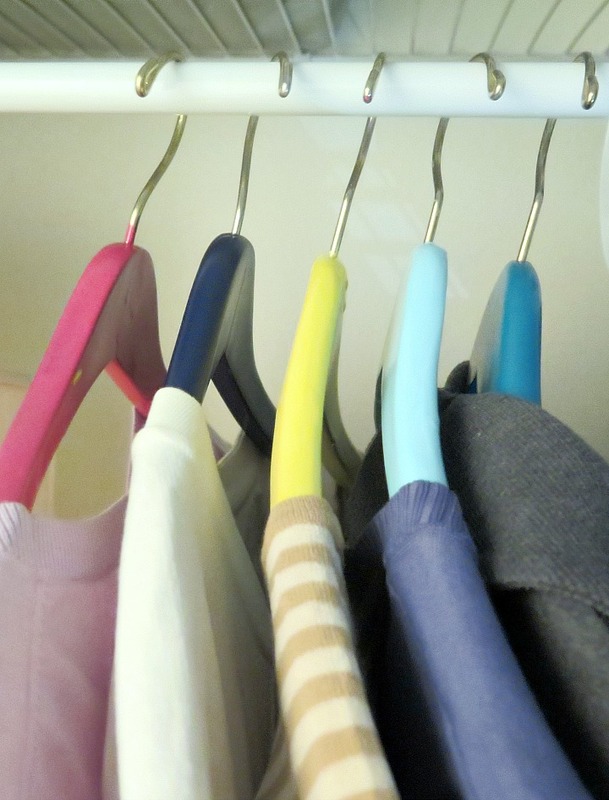 Turn all the hangers in your closet backwards. Whenever you wear something, replace the hanger in the right direction. Then at the end of the year you’ll see all the clothes that you didn’t wear! 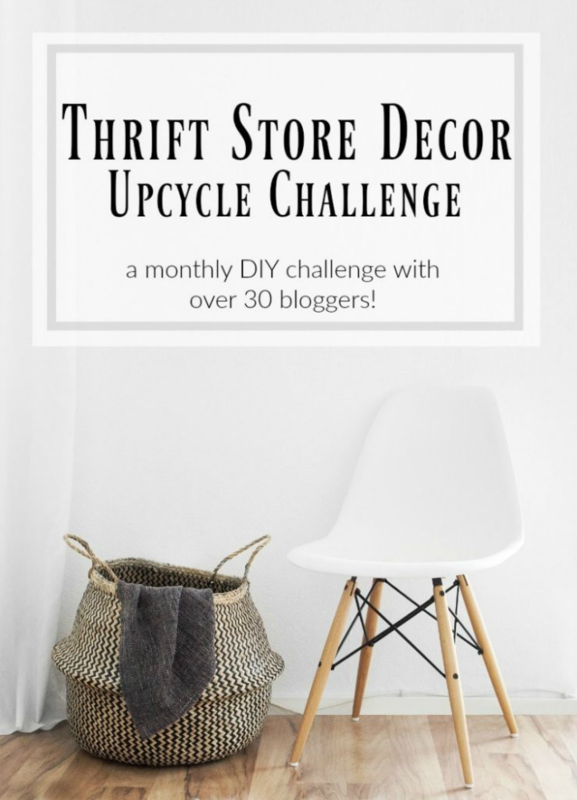 As a lover of affordable solutions of ANY kind, I’ve paired up with some extremely talented bloggers to bring you a monthly Thrift Store Upcycle Challenge. 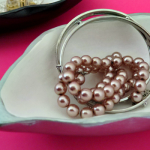 Each month we will create something amazing from an item(s) we’ve found at a thrift store, yard sale, resale shop etc. 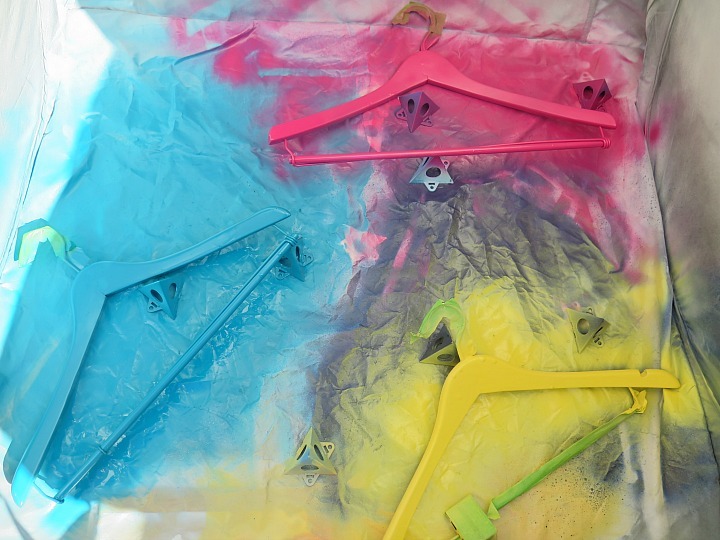 Love your fun, colorful painted hangers! 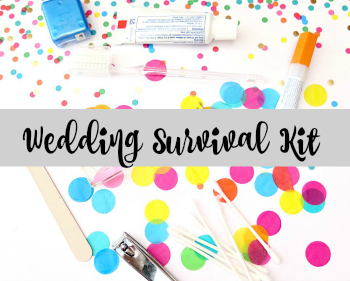 I have plenty of those wooden hangers that could use a pop of color! Visiting from Thrift Store Challenge. I’ve always wanted pretty hangers vs. the ugly plastic ones, but I am so cheap. I never thought to look for wooden ones at the thrift stores! Genius! These are so fun! They would be great in a kid’s room. One color for school clothes and another for play clothes. What an excellent idea. 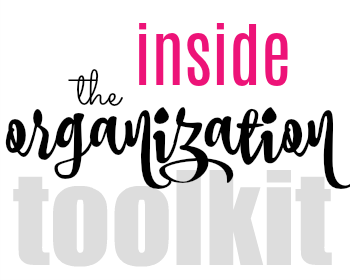 I do some of your organizational tips such as putting all of the items by color. I really like the idea of how you painted the hangars so you can arrange by season. I do need to do the hangars backward idea. I know I have a ton of things that I outgrew or don’t like anymore. 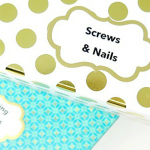 Cute and practical, but they make such a different in color! I’ll be looking for wood hangers now, I’ve got to make some of these. 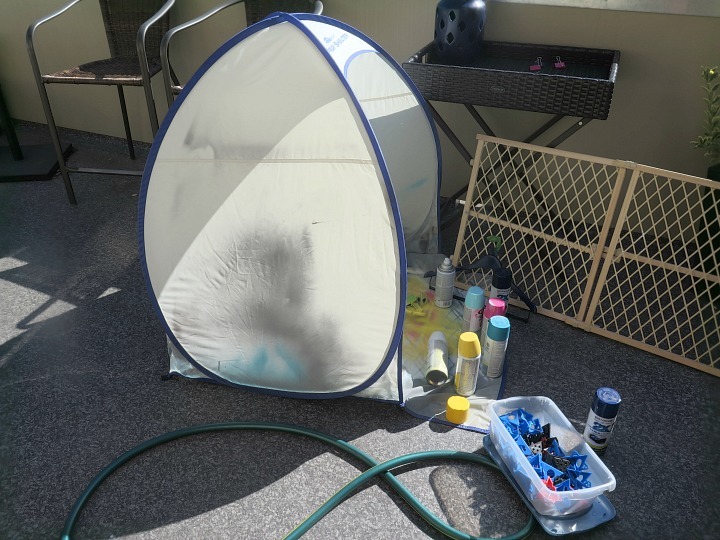 I also use a spray tent, makes a world of difference (no more getting paint on the back porch, lol). Pinning! 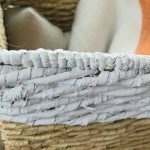 These are great tips and I love the painted hangers. They look so pretty. I don’t have many wood hangers but I may have to be on the lookout! They are awesome.